If food waste was a country, it would be the third biggest carbon emitter after the US and China . While 800 million people around the world do not have enough food, around one third of all food produced for human consumption – approximately 1.3 billion tonnes – is wasted or lost . An estimated 88 million tonnes of food are wasted each year in the EU  – enough to feed the 55 million people living in food poverty in Europe more than nine times over. And, even if we were to redistribute surplus food to those in need we would still be overproducing food. While so many people go hungry or are malnourished, wasting food is both morally reprehensible and a waste of the scarce resources (i.e. land, water, and fuel) needed to produce it. In addition to the huge amounts of household food waste thrown away every year, waste is generated at every stage of food production: from the perfectly-edible food left unharvested in fields to the unsold stock thrown out by supermarkets. Throwing away edible food is a waste of the huge amounts of energy and natural resources needed to produce it, freeze it, store it, and transport it. In turn, managing all this food waste uses more energy and resources. While the packaging industry claims that more packaging is an answer to combating food waste, less food was actually wasted before single-use packaging began to proliferate in shops. Huge amounts of unopened edibles still end up in landfill sites despite their extensive wrapping . Consumer confusion about ‘best before’ labelling also contributes to avoidable food waste. The EU made an international commitment to reducing food waste by signing up to the Sustainable Development Goals (SDGs), but these are not binding and they only address post-consumption, i.e. retailer and consumer food waste. More emphasis must be put on preventing food waste in the first place as the scale of food waste at primary production, distribution, and processing levels is substantial. The only way to know where the hotspots for food waste are in European supply chains, and prioritise them accordingly, is to have a harmonised farm-to-fork measurement and binding reduction targets. In FRANCE supermarkets can face fines of up to €75,000 if they throw away edible food – instead they must donate it to food bank charities. In ITALY, businesses are given incentives to donate unwanted food. While these laws are a step in the right direction, they do not address the wider problem of overproduction in the food industry. DENMARK has reduced food waste by 25% in five years – today all Danish supermarket chains have a food waste reduction strategy. Zero waste strategies that prioritise waste prevention, reuse, recycling and composting are gaining momentum. And food waste is no exception. A ‘waste hierarchy’ is a system which clarifies the priority order for preventing and managing waste. Food waste has its own specific waste hierarchy which takes into account the fact that food waste cannot be dealt with in the same way as standard residential waste. Favouring the most preferred options on the food waste hierarchy would ensure that food waste is used for its most environmental and socially useful purpose. · Introduce a clear definition of food waste in EU legislation which includes food wasted at the level of primary production. · Commit to a binding target of cutting food waste by 30% by 2025 and 50% by 2030 from farm to fork at Member State level. This means that it should include not just retailer and consumer food waste, but also food wasted at the primary production, manufacturing and distribution levels. · Support the specific food waste hierarchy rather than relying on a generic waste hierarchy. 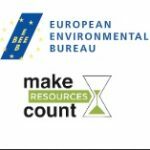 · Establish recommended EU guidelines on how to meet EU food waste reduction targets and develop a common methodology not just for measuring but for preventing food waste. · Extend measures to tackle food waste at the retail level (see France, Italy, and Denmark) across all Member States. · Support policies that promote local production chains and seasonal produce. · Prioritise food waste prevention criteria in Public Procurement for food and catering services. References from this factsheet available here: bit.ly/2lHEmEv Also, see Notes below.